Four inhabitants of a crumbling world tell their tales in this post-apocalyptic short fiction collection from Canadian author Brent Hayward. Praise for Brent Hayward "Where [Head Full of Mountains] stands out from its brethren is in the quality of Hayward's (Filaria) prose, and the skill with which he carefully details each scene and each character, using well-worn set pieces with an energy and splendor that blinds readers to their essential familiarity." "[The Fecund's Melancholy Daughter is] beautifully written and morally ambivalent, this complex tale will appeal to readers of Gene Wolfe and China Mi ville." "Toronto's Brent Hayward has a knack for creating incredibly lush alternative worlds and mythologies, and Head Full of Mountains may be his most complex and demanding work yet. . . . [The protagonist's] journey suggests an allegory of human development progressing through different stages of life, but readers will probably come up with many other interpretations as well, perhaps seeing in it a nightmare of isolated and introverted consciousness, or the endgame of technologies that have left humanity behind. The result is one of the more different and difficult SF novels of the year, but also one of the most rewarding." "Hayward's debut [Filaria] is a powerful, beautifully written dystopian tale. . . ."
." . . Filaria is simply one of the best books written in the last decade and is the best science fiction/fantasy book that I have read in a long time." "A disquieting, claustrophobic, compelling hybrid of China Mi ville and J. G. Ballard. I first read Filaria almost two years ago: its subterranean imagery has been stuck in my midbrain ever since." Brent Hayward was born in London, England, and grew up in Montreal. His short fiction has appeared in various publications, including OnSpec, ChiZine, Horizons SF, Tesseract 14, and the first Chilling Tales anthology. In 2006, his story "Phallex Comes Out" (ChiZine) was nominated for a Story South award for best on-line fiction of that year. 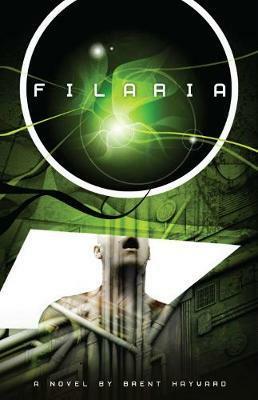 In 2008, his first novel, Filaria, was published by CZP. Among other great reviews, Publishers Weekly gave the book a starred write up, calling Filaria 'powerful' and 'beautifully written'. His second novel, The Fecund's Melancholy Daughter, also got a starred review from Publishers Weekly and was short-listed for the 2012 CBC Bookie Awards. Brent attended the Clarion SF workshop in 1995. For a few years he lived in Poland with his family but is now back in Canada. His third novel, Head Full of Mountains, was published in 2014 and nominated for a Sunburst award. A collection of short stories is forthcoming. He can be reached through his website, brenthayward.com. By day, he works in the aerospace field.